Background Information - When a new child or young person comes to live with you it is important to have as much information as possible. You need to consider whether the history of the child is something you feel that you can manage, both for you and any other individuals in your family. Equally, if a child or young person is moving from you, whether back to their birth family, long term fostering or adoption, the more details you can give about the child will help with them settling elsewhere. Baby Sitting - Foster carers will sometimes need a babysitter which in itself is not an issue. However, the foster carers need to be sure that the person that is being left with the children, be it a family member, or a paying babysitter, is suitable to be in sole charge of children. Belongings - It is important to look after, and treat with respect, any belongings a child may bring with them as they may be the only connection they have with their birth family, or any previous carers. Birth Family - When a child is in the care system his birth family may be the only consistent and wherever possible relationships should be maintained. Birth Certificate - Social Services will have a copy of the child's birth certificate in case it is ever needed. 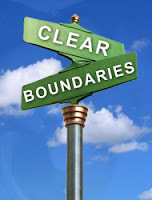 Boundaries - Clear boundaries need to be set in place as soon as a child moves in. Boundaries are positive because children and adults alike need to know what is acceptable. Depending on the age and development of the child they can be simple or detailed. They also help any adults living within the home as firm boundaries mean no blurred lines and reduces the possibilities of any allegations. Bullying -Looked After Children are more prone to either being bullied, or becoming a bully, due to their emotional health. Be observant for signs and record any concerns. 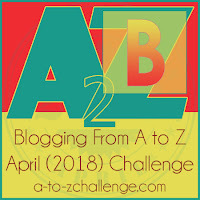 Talk to the child about bullying, what to look out for, how they are feeling, techniques for handling, and who to talk to. The backgrounds of these kids must be so heartbreaking. You seem to have done this quite a lot. I think it’s great that kids with sad backgrounds can count on someone like you. A workmate of mine became a permanent fosterer to two young brothers - too old to be allowed to adopt, but they have become her sons anyway and call her Mum. This is a great theme, thanks for sharing the info. Foster carers do an amazing job and often don't get the credit they deserve. So many things to think about - I can only imagine how much work it takes and how much care has to be put into fostering. I salute you. This is such an important topic, and I appreciate you broaching it! I used to work for CPS, and everything you've said is spot on. The more information you have as caregivers, the better the placement will be. Thank you for doing such important and underappreciated work.